One of the things I have struggled with as an indie author is having to sell my image, or my "brand" as it were. Whilst the Bug Books label is my own, it's still something that I find difficult. Image is everything in the indie world, and that means keeping a certain level of professionalism with everyone you work with. Especially on social media, because all it takes is one slip up and you'll have to rebuild from scratch and hope that it sticks. It's not just fans that you need to sell your image to, but other authors, editors and assorted professionals in the indie world. Sometimes, you'll find it easier to market yourself to the readers of your books than to your fellow writers, especially when you come up against the traditional/indie divide. That's a barrier all on it's own and may one day earn it's own piece, but for now I'll develop it a little here. There's always been a big divide between traditionally published authors and those who fall under the indie/self-publishing umbrella. With the rise of e-books and publishing options that are free and easier to distribute, there has been an increase in those of us writers who choose to go the indie route. As it states on my blog, I am a proud indie author, and while it may not be the right choice for everyone who goes into writing as a career, it's the path I chose and I'm happy with it. However, for some people, the indie world is one to be avoided, which can be a difficult mindset to overcome. Independent authors have no reason to be ashamed of the fact that they're without a big publishing house. Some of us use small presses and others self-publish with their own press, like I have with Bug Books. 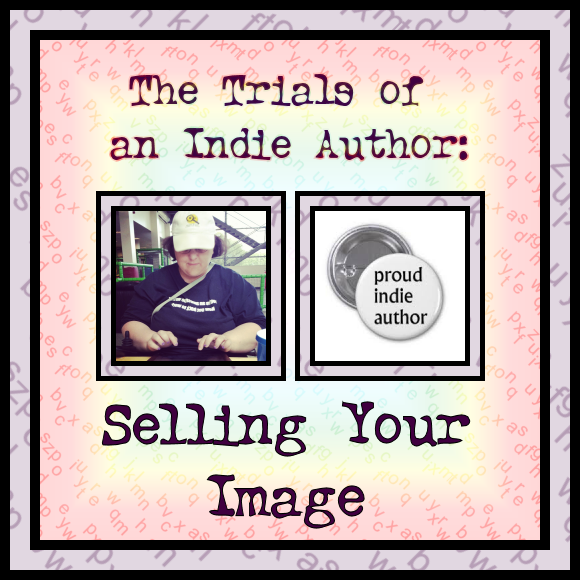 When you step out into the world as an indie author, you've got to be ready to sell your image, show people why your books are worth buying, create your own fanbase, deal with your own giveaways and book tours and you've got to do it all while remaining professional. Some readers hear the word "self-published" and cringe. They think that because you haven't been lucky enough to be picked by the Big Six, you must not be that good an author. They think that your book will be littered with errors and that you just write and hit 'publish', with no additional steps in between. While that may be true for some self-published authors (although I haven't come across any yet), the majority of us are just as talented as those who have landed contracts from big name publishers. The indie world is full of great writers who have a multitude of stories to tell, and as someone I know said recently, no one knew who Tom Clancy was at one stage either. Everyone has to start somewhere, and for indie authors, we have just as much of a battle as anyone else, because we have to start from scratch and build up a fanbase without the aid of a marketing department. This is not a rub or a snub to traditionally published authors, they have just as much talent and have just as many wonderful stories to tell, but as an indie author, I know the struggle of having to personally sell your brand. In a sea of writers clamouring to be heard, sometimes you can make yourself hoarse trying to get your name out there. It's not easy, and while some of us wish to make our millions, the majority of us know that we'll be happy with just having our stories read. We can't do that without readers though and so the battle begins anew to sell our brand, our image and our work.